I have been writing all my life. As a little girl it was mostly poetry where I expressed the feelings that were buried inside me. Emotions I couldn’t express from fear and not allowing myself to feel. Afraid to feel anything I wrote words on a page yet I didn’t “feel” them. They were words on a page that were inside me but not allowed to surface from my subconscious mind. I gave up the dream of being a writer as a teenager when I was told I had to prepare for a practical job like teaching. For years my only writing was in a journal. When my kids were little and I was lost, I wrote a story that poured out of me. I hand wrote it in notebook after notebook. One friend encouraged me to write loaning me a computer. That manuscript is still in a box in my closet. Then years later after my children were grown I was telling my story of my journey to strangers in a dining hall and was encouraged to write my story. When I began to write it I was struggling wondering if I could write it, finish it and actually ever publish it. Another friend challenged me to write a short book and publish it. 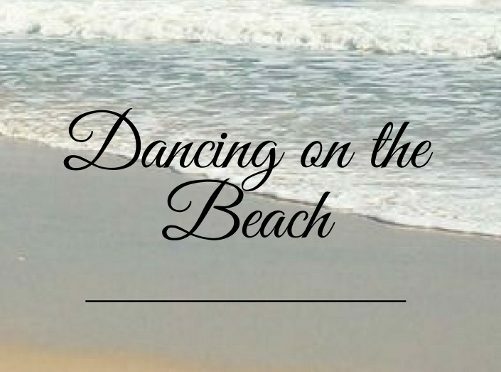 She even gave me the title, ‘Dancing on the Beach‘ because I never walked the beach I always danced down the beach. 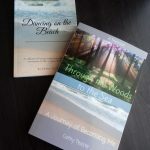 And so Dancing on the Beach was the first successful step into being able to say I was a writer. I wrote that Memoir and published it. It changed forms many times through the process but I completed it. Sharing my story has had effects I hadn’t imagine. I now stand strong in myself. I now try new things. I now follow my heart wherever it leads. My writing too has shifted more from the interpersonal to living in the world and real life adventures. Still it is all personal, it is still my stories, it is still me as I evolve and become more of myself. 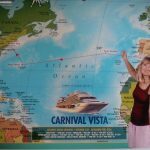 Sisters Travel Adventures has taken route and cruising and travel have grow in my passion. It has always been a hidden passion but now I am free to be and explore passions I once hid from myself. I am no longer bound by the past or what was and now I am stepping into what I can become. Life evolves, I evolve and so does my writing as it should. 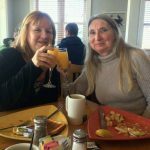 So come along on my adventures- through my writing or in fact you can join an Sisters Travel Adventure sometime. Last year for my Birthday, I headed off on a cruise with my sister and niece, then I went to Sonoma to visit with my daughters. I spent my birthday week doing one of my favorite activities, wine tasting. This year I am remaining in homeport. I am not sure exactly how I will be celebrating. But I wanted to do something special. So I decided I would share my love of the ocean, beach and dancing with you. For my Birthday I sharing my gift with you…. The ocean reaches into my weakest moments and reminds that I am strong. Here seeing her magnificence I feel and express my gratitude. Everything is right, I recognize the good that has happened in my life. It makes any day a good day. Here I look out over her surface to the horizon and stand on the horizon of myself, my hopes and dreams. My life is contained within the depths of her. My connection to the ocean is where I connect to myself. Here is where I really go inside myself, into my heart, into my soul. Is FREE for you to Download from Amazon! So please download my gift to you and join me in my love of the ocean, beach, and dancing! Here on the beach Transition and vision merge together. Laugh, play, sing, dance, express your inner child and your truest deepest self. Just be and see what the tides bring to your feet. What wonders and possibilities and treasures are here for you. What might you discover? If you are on Topsail you might just find me on the beach- dancing! 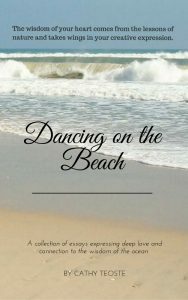 a FREE Copy of Dancing on the Beach! I choose to live my life in Joy. To inspire and be a source of inspiration to others. I express this though Dancing on the Beach. The Dance is my own unique creative expression of myself, my gratitude, my joy. My light shines through me to others when I am in my light.